What does the seven deadly sins mean? 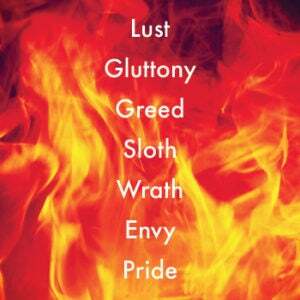 Originating in Christian theology, the seven deadly sins are pride, envy, gluttony, greed, lust, sloth, and wrath. Pride is sometimes referred to as vanity or vainglory, greed as avarice or covetousness, and wrath as anger. Gluttony covers self-indulgent excess more generally, including drunkenness. Where does the seven deadly sins come from? While the concept of an inventory of moral offenses has roots in antiquity, Pope Gregory I first enumerated the seven deadly sins in the late sixth century. For his list, Gregory drew from the ideas of Evargius Ponticus, a fourth century Christian monk who identified eight evils humans should resist. Broadly speaking, the seven deadly sins function as ethical guidelines. In his influential 13th-century text Summa Theologica, Christian theologian Thomas Aquinas further expounded on the seven deadly sins, which he called “capital vices.” To Aquinas, the seven deadly sins were the cause of all other offenses: “In this way a capital vice is one from which other vices arise.” Capital comes from the Latin caput, “head,” Aquinas explains. The head leads the body as the capital vices, chief among them pride and greed, lead to further immorality. About a century after Aquinas published Summa Theologica, capital meant “deadly” in English. A capital crime or punishment, for instance, involved the loss of life, or the head, metaphorically. A “deadly” sin thus suggests a grave and destructive act. The seven deadly sins are also called cardinal sins, with cardinal meaning “fundamental” and echoing capital’s sense of causation. The seven deadly sins also have counterparts, the seven heavenly virtues: humility (opposed to pride), kindness (envy), temperance (gluttony), charity (greed), chastity (lust), diligence (sloth), and patience (wrath). Many great works of literature have explored the seven deadly sins, including Chaucer’s Canterbury Tales, Dante’s Purgatorio, and Edmund Spenser’s The Fairie Queene. 16th-century Dutch-Flemish Renaissance master Brueghel the Elder strikingly painted all seven deadly sins, as did American painter Paul Cadmus some 400 years later. In popular culture, the seven deadly sins inspired the plot of the 1995 thriller Seven and a manga/anime series, The Seven Deadly Sins. Who uses the seven deadly sins? Outside of art, literature, and theology, writers and presenters often employ the seven deadly sins as a device to advise against poor practices in a particular line of work, activity, or phenomenon. For instance: the Seven Deadly Sins of American Politics, the Seven Deadly Sins of Punctuation, the Seven Deadly Sins of PowerPoint Presentations, the Seven Deadly Sins of Financial Management. The seven deadly sins also enjoy wide use as a common cultural reference, often with playful variations on the classic sins, across a variety of registers.